A look at Adafruit's PiGRRL Zero vs. Hardkernel's ODROID-GO. If you enjoy retro gaming, there are so many options, it can be tough to know what to get. The choices range from officially sanctioned systems from Nintendo all the way to homemade RetroPie projects like I've covered in Linux Journal in the past. Of course, those systems are designed to be permanently attached to a TV. But, what if you want to play retro games on the road? Although it's true that you could just connect a gamepad to a laptop and use an emulator, there's something to be said for a console that fits in your pocket like the original Nintendo Game Boy. In this article, I describe two different portable DIY retro gaming projects I've built and compare and contrast their features. The RetroPie project spawned an incredible number of DIY retro consoles due to how easy and cheap the project made it to build a console out of the widely available and popular Raspberry Pi. 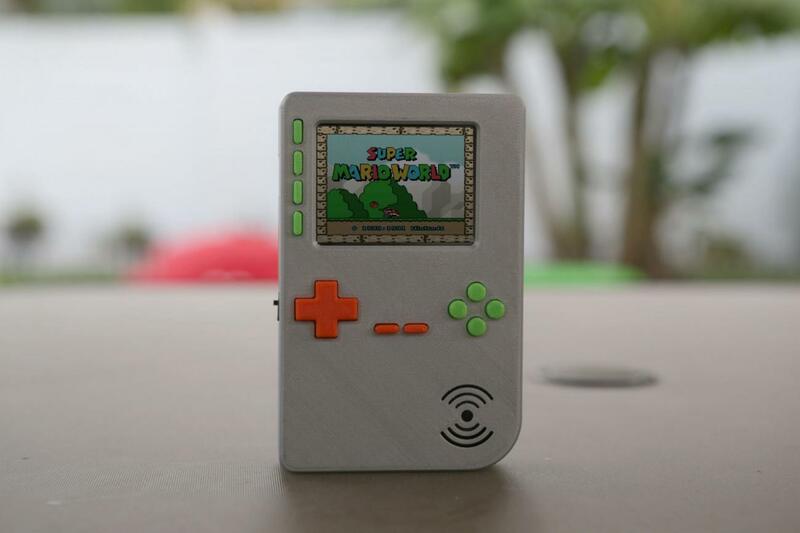 Although most of the projects were aimed at home consoles, Adafruit took things a step further and created the PiGRRL project series that combines Raspberry Pis with LCD screens, buttons, batteries and other electronics into a portable RetroPie system that has a similar form factor to the original Game Boy. You buy the kit, print the case and buttons yourself with a 3D printer, and after some soldering, you have a portable console. The original PiGRRL was based off the Raspberry Pi and was similar in size and shape to the original Game Boy. In the original kit, you also took apart an SNES gamepad, cut the electronics and used it for gamepad electronics. Although you got the benefit of a real SNES gamepad's button feedback, due to that Game Boy form factor, there were no L and R shoulder buttons, and only A and B buttons on the front, so it was aimed at NES and Game Boy games. The PiGRRL 2 took the original PiGRRL and offered a number of upgrades. First, it was based on the faster Raspberry Pi 2, which could emulate newer systems like the SNES. It also incorporated its own custom gamepad electronics, so you could get A, B, X and Y buttons in the front, plus L and R buttons in the back, while still maintaining the similar Game Boy form factor.